WUHU, China – Robert Bosch plans to set up a joint venture with China's Chery Automobile to develop and produce instrument clusters and infotainment systems for Chery vehicles. 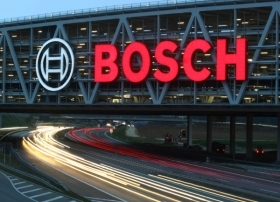 To form the partnership, Bosch and Chery will acquire equity stakes in Atech Automotive (Wuhu) Co., a supplier of instrument clusters and infotainment components to Chery. Atech is in this east China city. Bosch will own 60 percent of the venture, Chery will own 30 percent and Atech's existing owners will hold the remaining 10 percent, according to Chery. The venture will start production this year.